Happy March everyone! It’s the first day of March and the 2nd Sunday of Lent – and as I told you last Sunday, Sundays have never been included in Lent, so whatever you gave up on Ash Wednesday is fair game! Bring on the bacon! Now what to eat as a side to my main course of bacon? 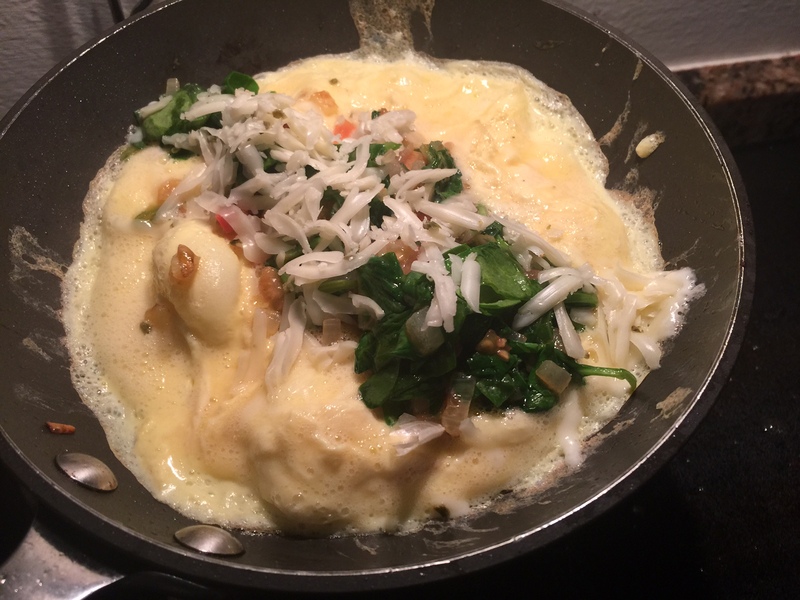 Haha… well, I decided to make a “clean out the fridge” omelet, so I ended up with this beaut with spinach, Asiago cheese, onion, and tomato. And I curled some scallions by cutting razor-thin slivers and soaking them in cold water – pretty, huh? 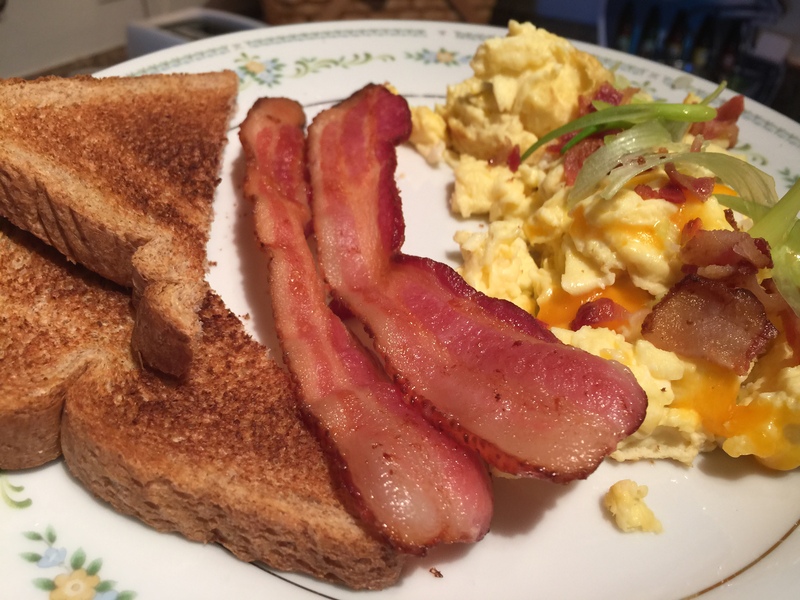 We’ve made it to the first Sunday of Lent, boys and girls, and you know what that means… you may have bacon!! For those Lent novices, remember that Sundays have never been included as a Lenten fasting day. That’s how there are 46 days between Ash Wednesday and Easter, but only 40 days of Lent – Sundays don’t count. 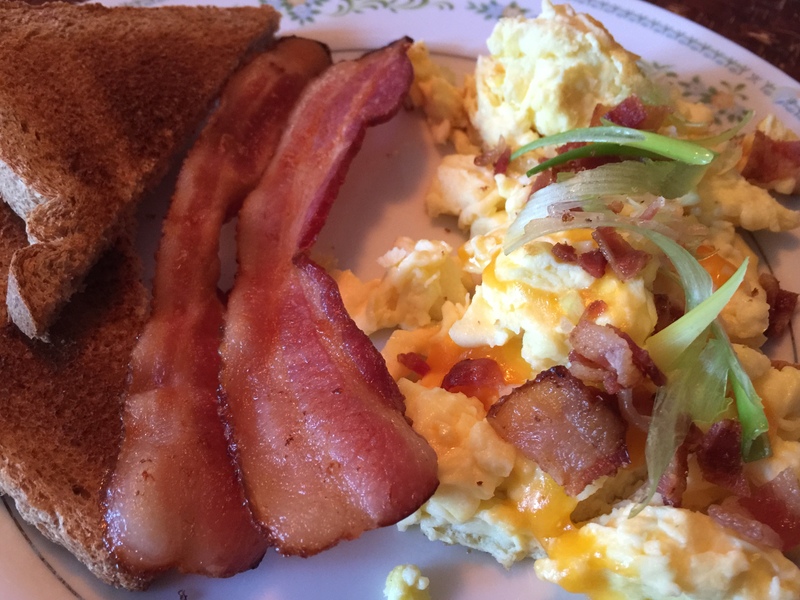 So this morning I decided to make it count and involve more bacon that normal for today’s brunch. 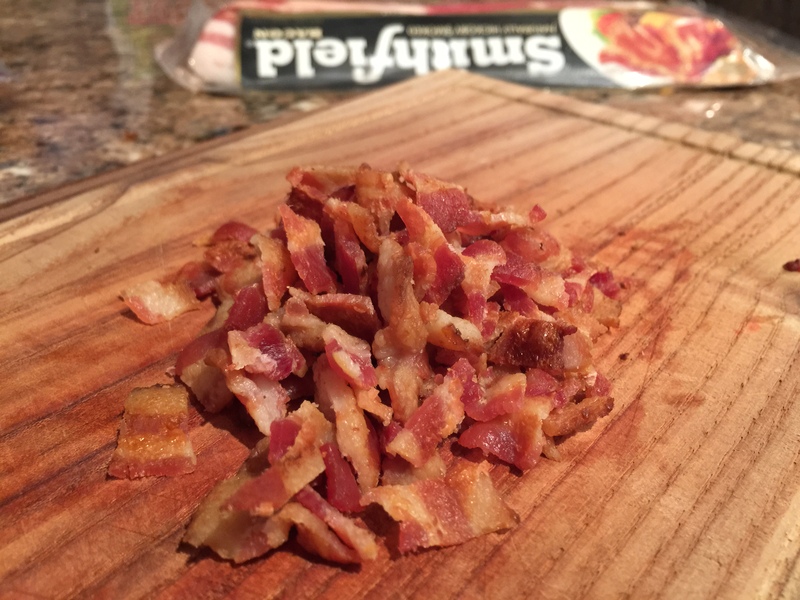 First I started by chopping some cooked bacon I had left over from the Fat Tuesday bacon dessert a few days ago. 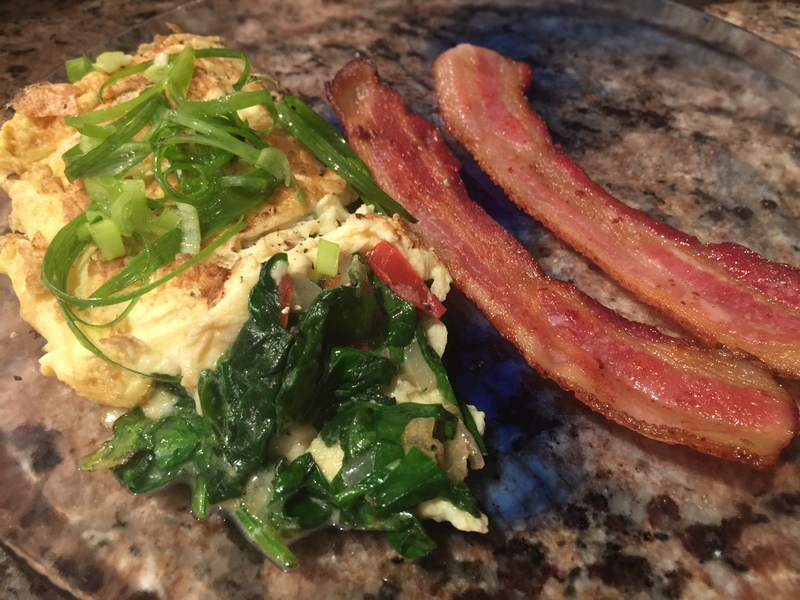 Then I made the rest of brunch – including some strips of bacon – and topped the cheddar cheese scrambled eggs with crumbled bacon.